The data format has changed with version 6, so version 5 can read data only from version 5 and version 6 only from version 6. 1. DO NOT uninstall version 5 before all data migration has been finished. 2. 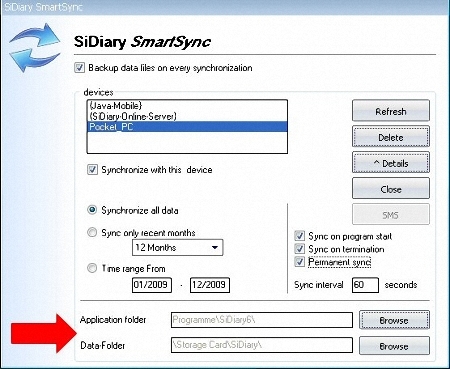 Synchronize your data between all mobile versions and/or SiDiary-Online (SDO) and version 5 on your PC. 3. Uninstall SiDiary version 5 and also all SiDiary data from your mobile devices. 4. 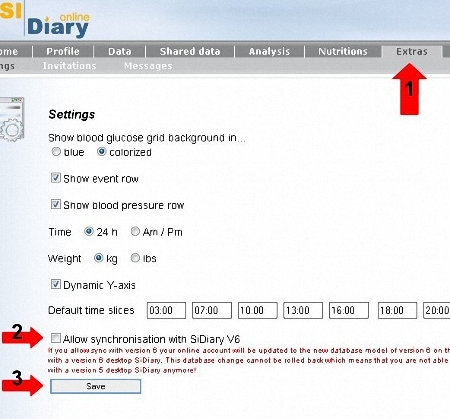 Install SiDiary version 6 on your PC and start it. 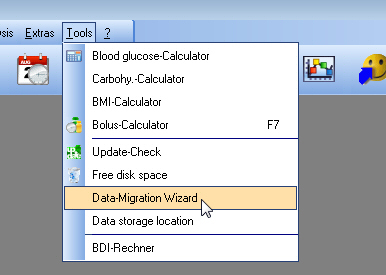 The migration-wizard will start automatically if it finds version 5 data on your PC. If not: menu 'Tools ->Migration-Wizard'. With SiDiary 6 (from version 6.0.1184) you can now choose the program folder of version 5 (where SiDiary.exe is located) or the data folder of version 5 (where the file SiDiaryProfile.dat is located) as the target file by using the button 'Browse'. 5. Install SiDiary version 6 on your mobile device (cell phone, Smartphone or PPC). Start it there and register as you have registered on your PC. 6. Register SiDiary-Online: on SiDiary-Online under 'Profile ->License-key'). Now the ads will disappear and you can synchronize data of more than one week. If you follow these steps accordingly, you should not be faced with any problems. Should any difficulties arise, please do not hesitate to contact our customer support.